After some time I would once again like to come back to the domain statistics and question about how many domains there are in the world. This time I will accompany the number 276 million representing the total number of registered domains by several graphs and information based on statistics of the organizations Verisign and CENTR (Council of European National Top Level Domain Registries). 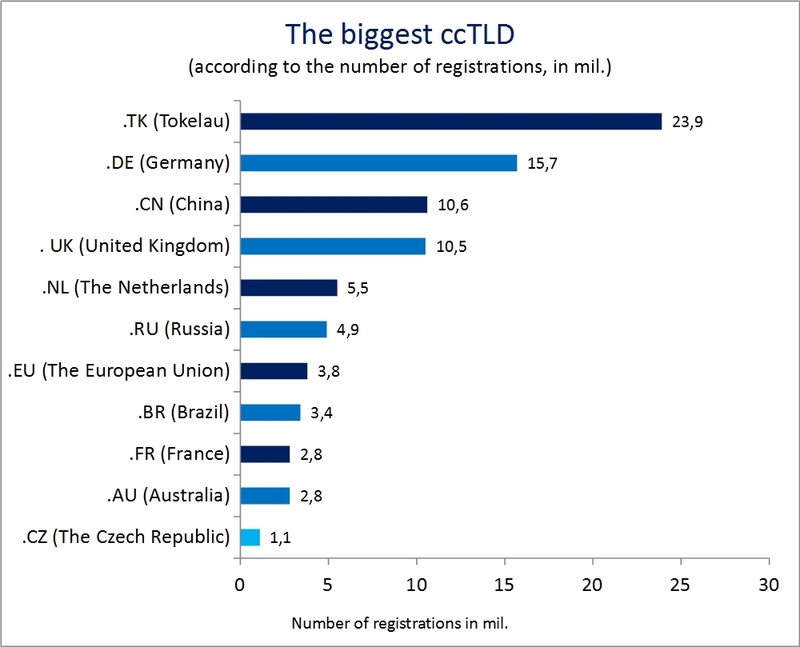 By far the most numerous TLD is with 127,1 million registrations .com. In the position of the biggest ccTLDsi the first place is occupied and its lead is still increased by the domain .tk of the small island Tokelau in Oceania the domain business of which participates in more than 10% of its GDP. At present there are 23,7 million registrations in this domain, which means by about half more than those of the German domain .de. This one has “only“ 15,7 million registrations. Who from Europe registers the most? 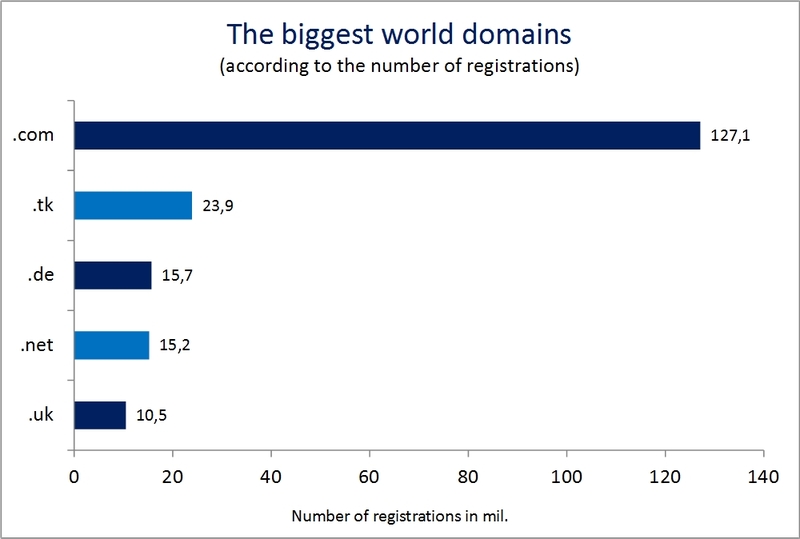 It is also interesting to look at which nations register the biggest number of domains when counted to the inhabitants of the given country. In this statistics the first place is reached by the tiny and in other graphs invisible Liechtenstein where 1,75 domain falls on every inhabitant, that is to say approximately 10 x more than in Germany. The second place is occupied by Montenegro (.me). Here, however, most of holders are from abroad – .me is very interesting above all for English-speaking users of the Internet. How many DNS questions are there today in a second? During the entering of the address into the browser or data research we do no more become aware of how much the system of domain names (DNS) makes our lives easier. If it did not exist, we would have to remember or have somewhere noted all IP addresses. In this way one question is sufficient and the page is displayed to us in a fraction of a second. Just try to guess how many DNS questions are being answered every second. The current day average moves only at Verisign closely below 1 million questions per second, that is to say 59 million per minute. At culminating point this figure is, however, by up to 30 % higher.